When you are deciding to purchase a DCAA accounting system, make sure you know what your company needs, what DCAA accounting expects from your company, and how you intend to use the software. When it comes to what your company needs question if you need human resource documentation that will track timesheets, timecards, and payroll. Does the software program track labor distribution? This is important since the DCAA will want to examine items like labor subsidiaries and reconcilable records to ensure compliance. Does the software prepare you for a preaward survey that the DCAA may perform to ensure that labor charges to cost objectives are verifiable and able to be certified by employees and supervisors? The DCAA will expect you to be able a document all items within your bid as well as how charges are tracked; this is beyond labor issues. DCAA will want you to address and to be prepared for the segregating of costs associated with your bid. For example, the DCAA accounting system wants verification and documentation on direct and indirect charges and expenses associated with the contract costs and how these costs have been allocated. 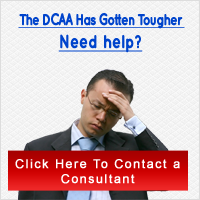 The use of a DCAA compliant software package can really help in this area. Now, there are many areas to be concerned with, the above is just a taste. Opt for a comprehensive software package. The question of how your company intends to use a selected software program is important. Sure, one may simply think, â€œI am going to use it to track my DCAA accounting.â€ Of course you are; but it is not that simple. Ask if you will be replacing old systems with one comprehensive system. Are you going to use the system to allow employees to document working hours from remote locations? Are you prepared to supply proper training to employees with the system? Are you going to use the system as a preparatory response to fiscal accounting or will you be using the software to be a final and factual system that has the last word in fiscal accounting? If you are aware and understand the demands of DCAA accounting and what your company needs and requires, you will be able to select a DCAA compliant software program that can act as a guide in contract completion success.